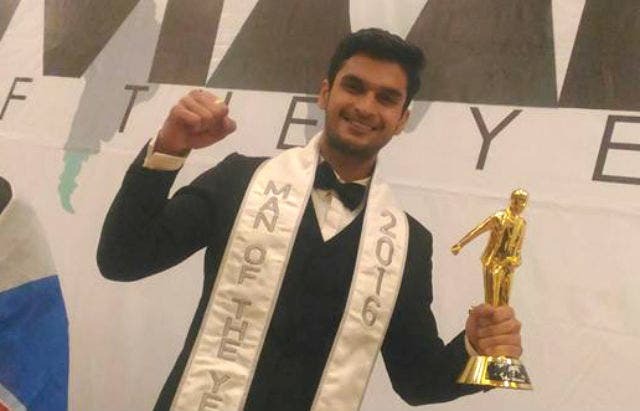 Mr. Philippines Karan Singhdole Wins Man of the Year 2016! Coming on the heels of Miss Philippines Trixia Maraña winning Miss Asia 2016 is Karan Singhdole, who wins the first edition of the Man of the Year pageant, held earlier this week in Pekanbaru Riau, Indonesia. Singhdole, a full-blooded Indian, beat 10 other candidates from the Czech Republic, Indonesia, India, Lebanon, Malaysia, Myanmar, Nepal, the Netherlands, Spain, and Vietnam. He was followed by Lebanon’s Tarek Moaykel, the Netherland’s Tim Bertrams, Vietnam’s Trịnh Xuân Nhản, and Indonesia’s Meirizal Rifa’i. The Man of the Year is an Indonesian male pageant that recognizes men who embody the traits of mastery, mindfulness, manliness, masculinity, and modernity. Despite his Indian heritage, Singhdole is a student from Sta. Rosa, Laguna, and has worked as a model. He was also a semi-finalist for Eat Bulaga!‘s You’re My Foreignoy segment. And yes, he speaks fluent Filipino. Last year, he was one of the finalists of the Misters ng Filipinas pageant. Man of the Year’s advocacy is wildlife conservation, and Singhdole will assist in efforts to save the turtle, the orangutan, and the panda. What do you think of his win? Share your thoughts below!